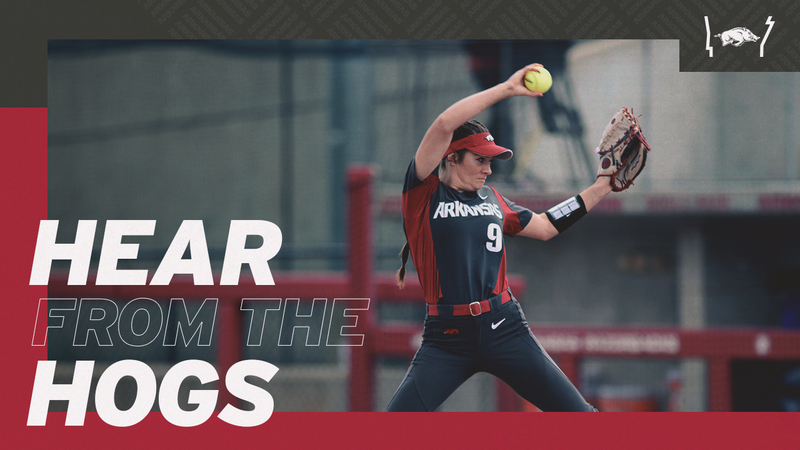 FAYETTEVILLE – Two days out from the first game of the 2019 season, senior Haydi Bugarin, junior Autumn Storms, and sophomore transfer Danielle Gibson talk about the higher standards and welcomed pressure that accompany the building excitement of Arkansas softball. The Razorbacks will see the first pitch of the season on Friday (Feb. 8), when they travel to Lake Charles, La. for the Cowgirl Classic, hosted by McNeese. Autumn Storms | Junior | Pitcher | Temecula, Calif.
Danielle Gibson | Sophomore | Infield | Arizona State- Murrieta, Calif.